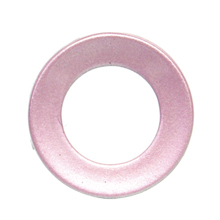 Brand New High Quality Pink Trackball Ring For BlackBerry 8100 8300 8800. If your cell phone center direction key is not function or difficult to navigate, that is possible that you need this one to replace it. Replace your cell phone broken, damaged or cracked Trackball Ring with new one. Buy this High Quality BlackBerry 8100 8300 8800 Pink Trackball Ring for replacement at great wholesale prices with no minimum order quantity!